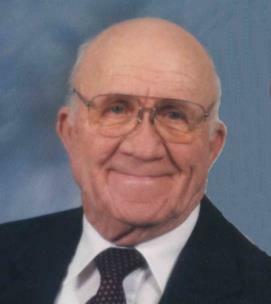 Joseph Edward Ramsey, 94, of Fort Oglethorpe, went home to be with the Lord on Thursday, March 14, 2019. He was a life-long resident of North Georgia and a charter member of Fort Oglethorpe United Methodist Church, where he helped build the church. Mr. Ramsey was a 50-year member of the Thomkin’s Lodge #466 F&AM. He was a veteran of the U.S. Air Force, serving honorably in World War II and Korea. Mr. Ramsey was an engineer for the Norfolk Southern Railroad for 38 years. He was an avid baseball fan, coached youth baseball for over 15 years and played softball until he was 65. He was preceded in death by his loving wife of 64 years, Alyce Ramsey. Survivors include his son, Joseph (Sandra) Ramsey; grandchildren, Phillip Ramsey and Blake (Andrea) Ramsey. Funeral services will be at 1 p.m. on Tuesday at Fort Oglethorpe UMC, with Pastor Joe Green officiating. Interment will follow at Chattanooga National cemetery. The family will receive friends from 4-8 p.m. on Monday at Heritage Funeral Home, Battlefield Parkway.